Listen as some of the top voices in successful business guide you through a program to identify and reduce stress so you can reclaim a healthy, balanced life. This audio series is full of visualization techniques and advice from the pros explaining the ill effects of stress and how to overcome them. With all the issues that arise in our everyday lives, finding the right attitude to deal with them in a positive manner is key, and this will help in every area of your life. From more time with family and friends to laughter in the workplace, learn what it takes to rid yourself of added stress. You can live a longer, healthier, and happier life by learning the easy techniques in this program. ZIG ZIGLAR, world renowned author and speaker, has an appeal that transcends barriers of age, culture and occupation. Since 1970, he’s traveled the world delivering powerful life improvement messages, cultivating the energy of change. He’s written 23 celebrated books on personal growth, leadership, sales, faith, family and success. PAMELA JETT is an international motivational speaker, trainer and communication expert. Her dynamic keynote presentations and customized practical training have improved the communication success for more than 135,000 people in seven countries. She’s worked with clients in the high-tech sector, education, healthcare, banking, manufacturing and government agencies. Audiences are guaranteed a dynamic, skill-building, and laughter-filled experience. LAURA STACK is a personal productivity expert, bestselling author, and professional speaker whose mission is building high-performance productivity cultures in organizations. She’s president of The Productivity Pro, Inc. and the 2011-2012 President of the National Speakers Association, and has been a spokesperson for Microsoft, 3M, Xerox, and Office Depot. DR. LARRY IVERSON has educated, motivated and entertained audiences for nearly thirty years. From his work with Olympic and world-class athletes to the main platform of Fortune 500 conferences, Larry delivers persuasion and communication strategies you can apply right now. Larry blends vision with his background as a Clinical Psychologist in guiding you on an insightful journey, while you develop insights that assist your personal development. He masterfully uses enthusiasm and humor to help you gain control in your life. BRIAN TRACY is the most listened to audio author on personal and business success in the world today. His fast-moving talks and seminars on leadership, sales, managerial effectiveness, and business strategy are loaded with powerful, proven ideas, and strategies that people can immediately apply to get better results in every area. LORRAINE HOWELL built her expertise as a communications expert and author as a television news and talk show producer. She coaches top executives and professionals on how to be more effective when speaking to the media or making public presentations. 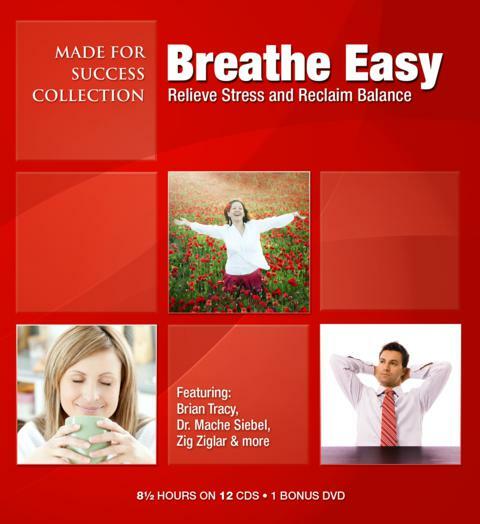 MACHE SEIBEL, MD is America’s leading health edutainer, making HouseCalls that combine up-to-the-second health education with rollicking, catchy music to keep you happy, healthy and productive. He was a member of the Harvard Medical School faculty for almost twenty years. He’s repeatedly voted by his peers into Woodward and White’s Best Doctors in America, and is a member of the American Cancer Society’s New England Division Medical Advisory Network. SARITA MAYBIN, professional speaker and author of the book “If You Can’t Say Something Nice, What DO You Say?,” provides real-life strategies for constructively confronting tough communication situations, staying positive in uncertain times and working together better. Since 1993, Sarita has educated and entertained audiences in almost all 50 states, Canada, England, Hong Kong, Singapore, Malaysia, Mexico and Iceland. Her clients include Hewlett Packard, Kaiser Permanente, Los Angeles County, WD-40, the Las Vegas Convention Center and many others. CRYSTAL DWYER is an expert in advanced Hypnotherapy and Life Coaching, creating a unique system of transformation. She has a burning desire to share these tools with as many people as she can reach. Not only has she helped thousands understand how their own subconscious thought systems are what create havoc in their lives and prevent them from experiencing their greatest happiness and success; her system successfully guides people to purge their “Messy Thinking” forever and to create a life they love. Crystal Dwyer is certified by the American Board of Hypnotherapy, Member of the International Coaching Federation, and Certified by the Chopra Center of Well-Being as a Meditation Instructor. Through Crystal’s programs, people all over the world have experienced profound and lasting transformation in relationships, career, health & wellness.